But it follows nicely on to a question I had, what helmet is currently used on the PC-7MkII's and Hawks. It looks like a newer version of the 316? It is the Elno FPH500. Sorry, I thought H1017412 meant on what types the 316 is still being used. Pilots of the following types used the 316: Harvard, Buccaneer, Impala Mk I, Impala Mk II, PC-7 Mk II, Mirage III, Mirage F1, Cheetah C, Cheetah D, Cheetah E and Hawk. What helmets did the Cheetah C guys use? I think I have noticed at least three types. The 316 is one. Then one that looks a bit more close fitting with bulges around the ears and a protector for the visors then a USAF ACM type one with a clear and yellow visor fastened with elastic straps and no protector. I think someone said the USAF one offered little protection in the case of ejection, but the pilots could adjust their seat up high so they kept it. 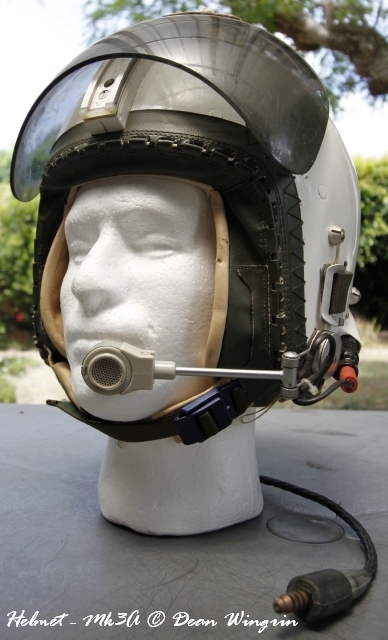 The Cheetah pilots used a number of helmet types, which I'm still researching. 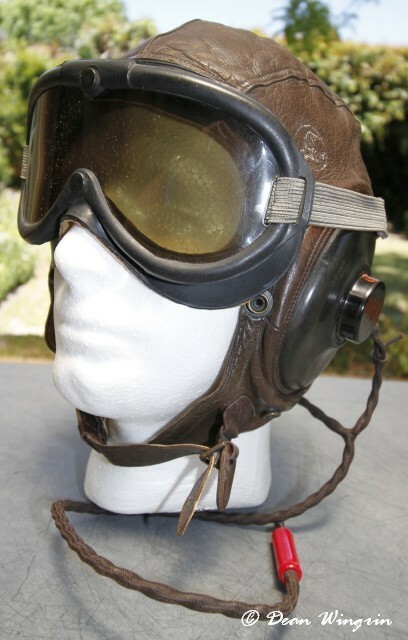 Apart from the 316 (Cheetah C, D and E), the Cheetah C pilots also used a number of other local and international helmets. As mentioned, there was a USAF ACM type (still researching this one), an Israeli helmet (donated by exchange pilots) and two different versions of the South African produced Lafe helmet. Just collected from the Post Office my leather American A-11 helmet and B-8 goggles I purchased on UK eBay in May! 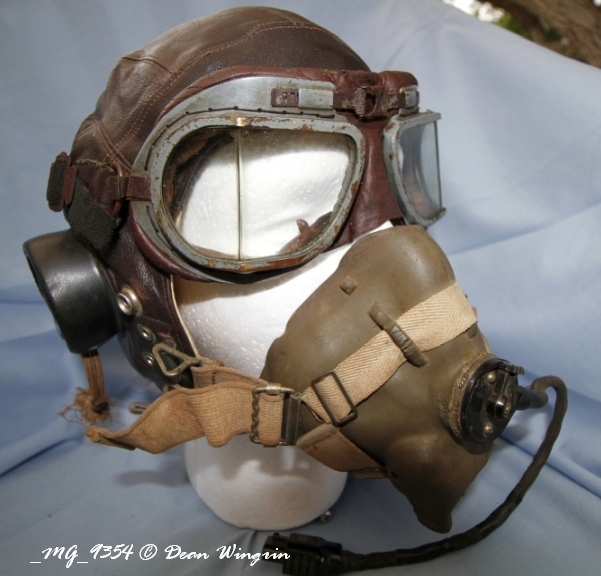 As used by the early SAAF Mustang pilots in Korea (with A-14 mask). Happy New Year ... Happy with new helmet. 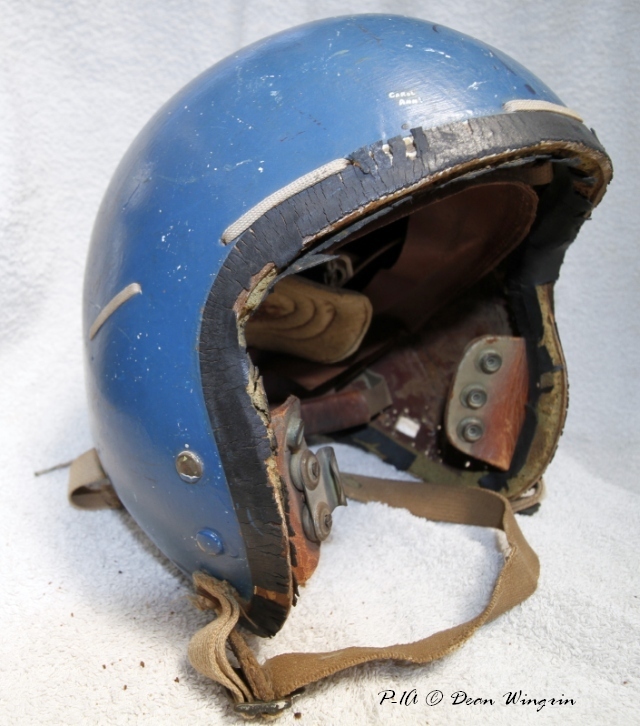 A very small Mk3A helmet in immaculate condition, as used with helicopters and light aircraft from the 1970's to the 1980's. This is a P-1A helmet, the first type of hard helmet mass produced for standard issue to the United States Air Force. It is of the same type used by SAAF pilots (Mustang and Sabre) in Korea. I picked this worn example at a collectable shop in Cape Town yesterday, it may have been used by a Spitfire or Sabre pilot in South Africa. Been wanting this combination for quite some time: Type C helmet, Mk VIII goggles and Type H mask, as used from late WWII to the 1950's. Waoh! This WWII helmet is a great find. Are these still easy to find or are they not quire scares?